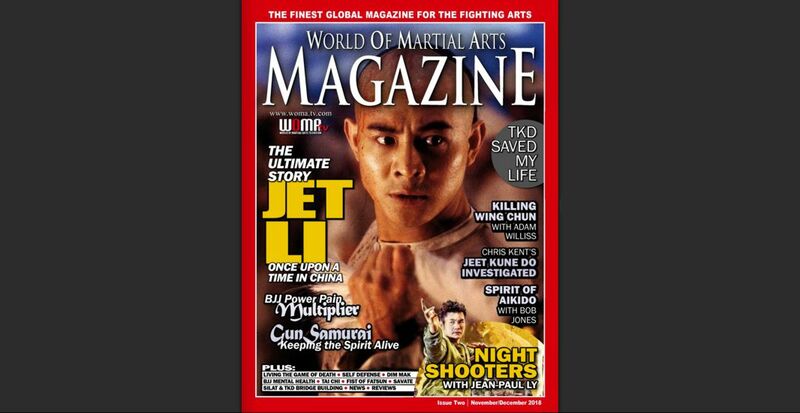 World of Martial Arts Magazine is all about good martial arts for good martial artists. Everything from beginner to Black-Belt, traditional to modern, World of Martial Arts Magazine features all styles of martial arts, from Karate to Krav Maga, Aikido to Taekwondo, Kung Fu to Jiu Jitsu, Silat, Muay Thai, Eskrima, Boxing, BJJ to MMA. 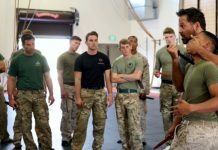 We feature martial arts in everything from Movies, TV, mind, body and spirit, expert tips, techniques, training, everything from Bruce Lee to Jackie Chan, product reviews, interviews, travel, mindfulness, competitions, nutrition and more. 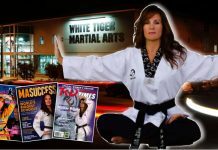 Welcome to World Of Martial Arts Magazine. Issue 2 November / December is packed with Extraordinary Martial Arts, all great articles, & images from world respected writers, awesome classic movies, and martial art celebrities. Welcome to World Of Martial Arts Magazine is packed with 100% martial arts goodness with great articles, and images from respected writers, awesome classic movies, and martial art celebrities. 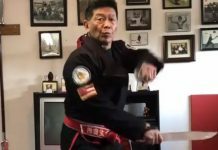 A 96 year old Karate black belt vs 30yr old Pro Boxer? Did this happen? Who Won? Why is Chi Sau so important? The Catch Roots of UFC & When was the Strangle Legal? 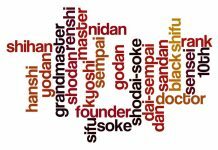 What does Ninjutsu mean to a Female Ninja? Legendary Jackie Chan is Reborn in 4k classic movies Was Bruce Lee’s fighting style made up from other arts? Survival Tips for BJJ Beginners. What actually happened when Bruce Lee fought Wong Jack Man? 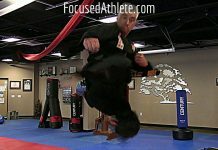 How do you get perfect Taekwondo striking technique? Bruce Lee & JKD News Reviews What is Aikido? Where did it come from? Classic Fight Film Reviews Where is the Power in Tai Chi? How to Survive Seminar Training & Actually Improve Are you Unbalanced in Judo & BJJ? 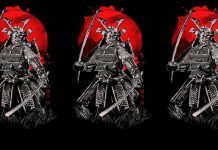 What is the Ancient Secret of Martial Arts Masters? What is Xing Yi Quan? Why do you need to know? Enjoy!